These days, people are constantly looking for more and more ways to make their lives more convenient. This is especially true when it comes to cooking. Nobody wants to be slaving over a hot stove after a long day at work. Fortunately, a pressure cooker can help you quickly and easily prepare some very delicious dishes. Introducing a new appliance to your kitchen can be stressful, but the benefits of a pressure cooker will far outweigh any doubts you might have. Keep reading to learn 5 benefits of owning a pressure cooker. No matter what you like to eat, there’s a pretty good chance you can make it in a pressure cooker. Pressure cookers are capable of cooking everything from meats. In addition, pressure cookers can also be used to preserve foods. If you enjoy canning your own preserves, you’ll be happy to know that pressure cookers can also be used as canners. Cleaning up after cooking can be a huge hassle. Pressure cookers cut down on clean up time since everything is easily contained thanks to a tightly secured lid. With a pressure cooker you won’t have to worry about spills and other messes that can easily occur when cooking on a stove top or in an oven. Who doesn’t love to save time? Especially when it comes to cooking and eating. 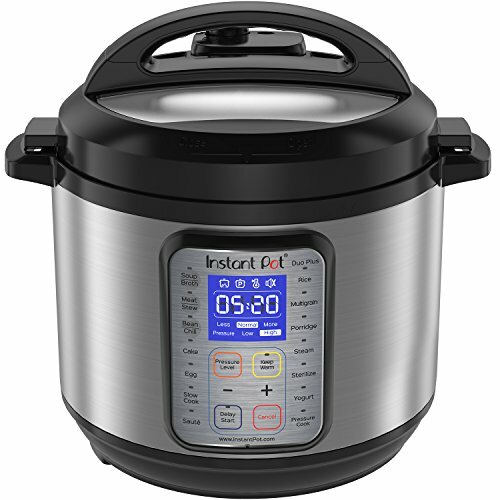 Pressure cookers can reduce cooking time by about 70% in comparison to other methods because of the way the trapped steam inside the pot works to cook food.